Opportunities for peace between Yemen’s warring parties are higher than ever before. Recent events in Yemen and the greater Gulf region indicate a shift toward de-escalation in the war-torn country, which would alleviate the suffering of millions of Yemenis. Although a long time coming, it would seem that increased media scrutiny has prompted the international community to realize the necessity of winding down a war that has done nothing but exacerbate a tragic humanitarian and economic situation in what was already the poorest country in the Arab world. The possibility of this outcome has been made evident by a recent softening of positions among the warring parties. On November 18, Mohammed Ali Al-Houthi, the head of the Houthi Revolutionary Committee in Yemen, issued a statement announcing the group’s intention to halt military maritime operations and missile strikes targeting Saudi Arabia and the United Arab Emirates (UAE). The statement also indicates the readiness of Iran-backed group’s to freeze and halt all military operations with the goal of reaching a “just and honorable peace.” Just one day after the Houthis’ statement, the internationally recognized (and Saudi-backed) Yemeni President Abd Rabbo Mansur Hadi agreed to join proposed peace talks in Sweden scheduled for early December. This agreement is the result of four factors: growing international pressure on Saudi Arabia, the recent progress by the UAE-led troops in Hodeidah, extensive efforts by UN Envoy to Yemen Martin Griffith, and the accumulated economic burden of the war. The convergence of these new circumstances makes this possibility for de-escalation in Yemen the most promising to-date. International pressure, particularly on Saudi Arabia, is an important key to de-escalation in Yemen. While certain observers have always been skeptical of Saudi military actions, the aftermath of the murder of Jamal Khashoggi has increased international pressure and scrutiny on the Saudi government. His murder shed light on some of the other regional developments associated in-part with Crown Prince Mohammed bin Salman (MbS), with the war in Yemen standing out as perhaps the most consequential example. International media outlets, including mainstream American media, have broadcast more coverage of Yemen, while members of the United States Congress have been more vocal in their demands that the US halt its support for the war as a potential means to prompt the conflict’s end. Others have explicitly called for sanctions on Saudi Arabia in response to recent statements by the CIA that MbS personally ordered Khashoggi’s death. Leveraging its relationship with Saudi Arabia to encourage its compliance is a way for American President Donald Trump’s administration to redirect rage over the Khashoggi affair towards an end that doesn’t directly target the Crown Prince and his relationship with the current administration. Pressure on other parties is also necessary for the success of the forthcoming peace talks. The Houthis are currently facing added challenges as they are experiencing increased fallout after UAE-backed Yemeni troops made surprisingly significant advances against them two weeks ago in Hodeidah, a vital sea port on the country’s west coast. The invigorated Emirati push may have been part of an attempt to pressure the Houthis into making concessions and guaranteeing that their participation in the upcoming peace talks is sincere. International pressure on the Saudis and the Houthis, regardless of their disparate sources, will be necessary if violence in Yemen is to discontinue. The pressures on the conflicting parties are directly related to mediation efforts taken to promote de-escalation. The UNSG Special Envoy to Yemen Martin Griffith has been conducting extensive shuttle diplomacy to convince both sides to negotiate. Mr. Griffith is working on trust-building measures that encourage the parties to reduce tensions and actively participate in the upcoming round of negotiations. These measures include cessation of hostilities on all fronts, exchange of prisoners, opening of the Sana’a Airport and paying the salaries of Yemeni public servants. In addition UN spokesman Rheal LeBlanc recently announced the UN is prepared to play a supervisory role in managing Hodeidah. Another critical factor paving the way for détente is the significant financial resources allocated since war’s outbreak in March 2015. Both Saudi Arabia and the Houthis feel the heavy burden of the resources allocated to the war by their respective institutions. 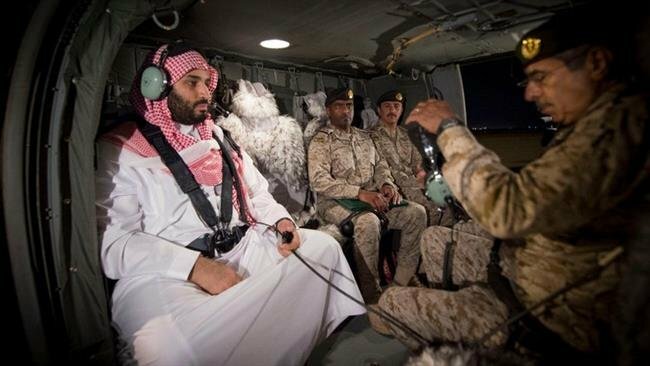 Despite its excessive affluence and high oil prices, Saudi Arabia is realizing the need to tighten the expenditure tap on the war in Yemen. It is estimated that the war in Yemen has cost Saudi Arabia around $100 billion to date. A reduction in the Kingdom’s spending, which would almost certainly mean a significant cut in Saudi military expenditures in Yemen, is necessary if KSA is ever to achieve the MbS-inspired Vision 2030. On the other hand, the much less well-resourced Houthis have earmarked nearly all their resources (however scarce) to benefit their military efforts. The result has been a significant devaluation of the Yemeni Riyal to unprecedented levels. The prices of all goods, services and medicines have multiplied, a suffering most palpably felt by innocent Yemeni people. On top of all this, the salaries of public servants have been suspended for nearly two years. 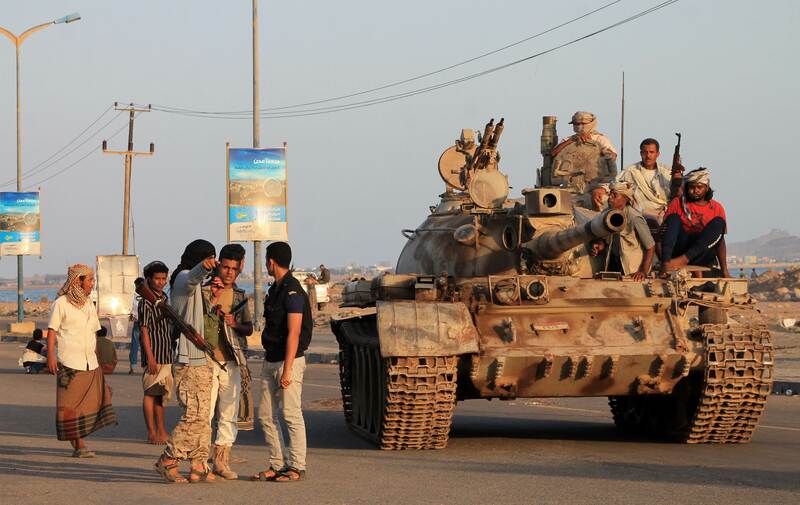 In Hadi-government-controlled Aden, the economic and security situation is not much better. The people residing in Aden and some of the other southern governorates are suffering greatly as a result of a weak economic situation and a lack of proper services. Perhaps the only thing stopping both parties from stopping this costly war is a face-saving way out that is acceptable to all actors. Because circumstances appear to be worsening for decisionmakers, it has become more likely that negotiations will move forward. However, there are still significant hurdles before both sides will reach an agreement. 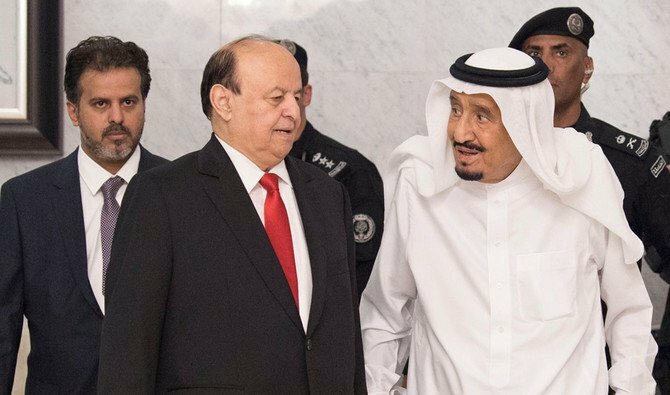 Because the formation of a new government will not include Hadi and his cabinet, the legitimate Yemeni government will be less motivated to make concessions to reach an agreement with the Houthis. Unlike the Houthis, Hadi and his top cabinet members live in lavish residences in Riyadh and enjoy international recognition. A continuing war allows Hadi to stay in power and prevents the Houthis from receiving international recognition. The Houthis, on their part, are not going to make concessions comfortably. They will not easily give up their weapons, a crucial stipulation already put forth by the legitimate government. Recognizing the international pressure on Hadi and his Saudi financiers, the Houthis will try to secure the maximum power and recognition a potential compromise could allow. Impending rounds of negotiation may take months to address the major issues among Yemeni parties. In addition, the landscape may be complicated by the number of international players involved in the conflict, as Iran, Saudi Arabia, the UAE, and Qatar each to varying degrees are competing for influence in Yemen. The US focus in Yemen has been mainly in countering terrorism and more recently, preventing Iranian expansion in the region. Within this chessboard, the Yemeni people continue to fall victim to the ambitions of these different regional and international powers adventuring in their country. The stakes for a potential cessation deal in Yemen have increased due to the ways in which the various aforementioned factors are pressuring the two primary opposing sides to sit at the negotiating table. However, many obstacles remain in order to achieve this endeavor. Because of this, the international community must continue to pressure Yemeni and regional parties to reach a compromise. Ceasing hostilities, including air raids nation-wide, and opening the Sana’a airport while Yemeni parties negotiate, will be a success in and of itself at alleviating the suffering of the Yemeni people. However, the international community must recognize that these compounding factors have offered an unprecedented, and fleeting moment for long-term solutions.